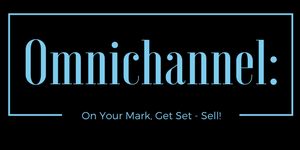 Omnichannel: On Your Mark, Get Set — Sell! When it comes to omnichannel revenue and omnichannel marketing, home furnishings in-store salespeople may still be a little leery. Understandably, it might feel as if the shopper’s website interaction is circumventing showroom personnel. This perception can create challenges for furniture store owners and executives who want to encourage their sales teams to work with their websites, not against them, and increase consumer engagement. One of the best ways to rally the sales team around e-commerce is to emphasize consumer engagement. Every good salesperson knows how to get the customer talking and sharing. Those insights help them to make stronger product recommendations and build relationships. With more consumers doing product research online, they are often very well-informed by the time they enter the store. Studies show that 67 percent of the buyer’s journey is done digitally, and consumers will touch a website 11 times before making a purchase. Salespeople who demonstrate deep knowledge of your store’s website will be able to make a quick connection with in-store shoppers. Then they can offer consumers the best of both worlds with an omnichannel marketing approach, digital assortment and physical product expertise. For example, after showing the store visitor a new sofa and loveseat special, they can use powerful room planning tools to demonstrate on screen, in the store, precisely how pieces will fit in a room with the consumer’s desired dimensions. The digital realm also presents a great way to follow-up with shoppers after they leave the showroom. For example, leveraging insights from the in-store conversation, the salesperson can use a visualization tool to build a virtual furnished room and then email or text-message the shopper a link to it. They can encourage customers to use those same tools on their own to experiment with different furnishing arrangements and upholstery draping choices. When there is a seamless omnichannel shopping experience, consumers are able to buy products anywhere, anytime, any way they choose, from an endless aisle of merchandise. This new retailing reality doesn’t mean that traditional sales models are thrown out the window. Quite the opposite. There is still plenty of room for referrals and commission-based selling. The key is to educate your sales team about the new rules of engagement and to be sure your systems are ready to connect the dots between in-store and online sales activity. Are you tracking when a salesperson’s email outreach results in a click-through to your website? Are you tracking when that click-through results in a sale? What financial incentives are associated with different results? Social media referrals are now a huge sales driver, and many consumers are using social media instead of the telephone to ask about products. Furniture retailers can generate healthy competition between salespeople while helping them tap into this vibrant social dialog. How about a monthly contest to see which sales representative gets the most likes and pins for product posts? Why not provide a bonus for salespeople who are willing to work the social chat lines and help convert inquiries into sales or try integrating a live chat feature onto your website, operated by your experienced sales team? There are so many synergies between in-store sales teams and e-commerce. We’ve just touched the tip of the iceberg. Contact the MicroD team to learn more: Solutions@MicroD.com.